An estimated 77% of Americans now own a smartphone, up from an estimate of 35% in 2011. The world is moving online, and businesses must keep up. Mobile marketing may have crossed your mind at some point, but you have no idea where to start. The truth is you’ll need to think harder about mobile marketing if you want your business to succeed in the coming years. This isn’t a matter as simple as translating your online marketing strategy to a digital format. Browsing the web is drastically different on mobile and desktop browsers. 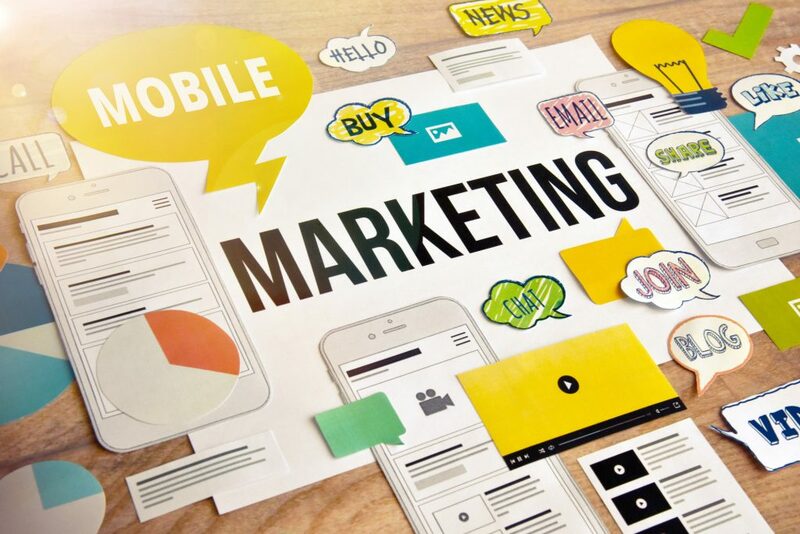 Where should you start with your mobile marketing strategy? Read this guide to find out more about how to reach your mobile audience. Mobile marketing is a means by which you promote your brand through social media, mobile apps, and websites. Mobile devices are used more often for browsing the internet compared to desktop computers. This browsing includes activities like shopping, many business’s primary source of revenue. Think about the audience that is just entering into the workforce and becoming an integral component of the economy. Those young adults from about 20-30 are inseparable from their mobile devices. If you don’t have a plan to reach them on a digital platform, you will be missing out on key income. It’s time to implement a strategy, or you may see your business fail. An effective mobile marketing strategy will help you reach your target audience even when they aren’t at home. They’ll be using their phone on the bus, in the waiting room of their dentist, and even in public restrooms. If your site isn’t mobile-optimized, you’re going to lose sales. Those who browse on their mobile devices are easily frustrated with sites and apps that fail to format to their device. Such is the consequence of growing up on the internet. Many will abandon a purchase if it takes too long. If you can’t relate, you’ll have a difficult time trying to understand while a website needs to be mobile-optimized. You’ll need to trust us on this. Take a look around next time you go out in public. Simply put, mobile users tend to spend more money on mobile purchases. Mobile users browse the web almost all the time. Think about your kids watching TV and looking at their phones at once. This is the mindset you’re looking to target. There’s an app on the market for nearly everything. You may be thinking you shouldn’t add to the infinity of apps. Not every business needs to develop a mobile app. Some should seriously consider the prospect. This will depend on your product or service. For example, a business that lays bricks may not benefit from a mobile app. However, a music streaming service will definitely benefit from an app. Developing a mobile app requires a great deal of planning and attention. You’ll need to expand your SEO strategy to optimize for the app store in addition to Google or Bing. Mobile marketing isn’t just about brand exposure and reputation. Yes, it is, but it’s a bit more complex than that. You want to create a feeling of engagement with your target audience. This is a good way to engrain your brand into the subconscious of your customers. Friends and family can bring people to your brand via the game. We aren’t suggesting you create silly games reminiscent of 2003. We might suggest games reminiscent of 1993. You’ll need to be careful on this front. Using games in your strategy can make your business appear gimmicky. That’s not good. This technique can be successful if used with tact. Mobile users don’t want to be overloaded with information crammed onto a single page. They are often looking for quick information that’s easy to digest. If you are designing content for mobile purposes, you’ll need to break up the content. That means you should use bullet points more often. You should shorten your paragraphs. Use more headings to make specific content easier to find. Your content doesn’t need to be reminiscent of the famous 823-word sentence in Les Misérables. Users don’t want to waste time. They want as few steps to make a purchase as possible. This may be scary for you. You might think you’ll be sacrificing security and confidentiality. This isn’t true, as different companies are developing platforms to streamline path. This area of technology can be a bit confusing. Look further into mobile payment options to find out how you’ll benefit. You shouldn’t expect to reach your target customers if you don’t know anything about them. You need to find out what they search for. You need to find out what they do on their devices. Market research should be a key component of your mobile marketing strategy. You’ll need to analyze your mobile analytics and look at mobile metrics. This sounds a bit complicated I know. The basic idea is to look at your mobile users’ behaviors across your website. Who’s visiting your website? Which pages do they visit most frequently? How did they get there? This information is internet marketing gold. Your mobile marketing strategy should aim to reach an audience on a mobile platform. You should think about how your website responds to mobile browsers, apps, the content you provide, and so much more. This guide should get you started in the right direction. You’ll need to do more research and find out more about your target audience. Keep in mind mobile marketing is just one aspect of improving your online reputation. To find out more about building your online reputation, visit our section on this topic.